Lazarus Rising: A Personal and Political Autobiography, by John Howard; HarperCollins, 2010, 512 pages, $59.99. John Howard, more than any other postwar Australian political leader, enjoyed a strained relationship with the Canberra press gallery and the soi-disant progressive media. As his autobiography Lazarus Rising shows, he is broadly contemptuous of the politically correct views they purvey and the urban and academic elites they exclusively serve. As early and predictably dismissive reviews of his autobiography show, the feeling is mutual. Jack Waterford in the Canberra Times finds Howard’s memoir “fairly boring” and “cobbled together” from old speeches. Tony Walker in the Australian Financial Review considers it “interesting, if self serving”. Virginia Trioli, interviewing Howard on the Pravda-lite ABC morning show, appeared exasperated at his apparent lack of “doubt” when making controversial decisions. In ABC land only those on the deep green Left, of course, can act upon a conviction or, in ABC-speak, “with passion”. More surprisingly, even the editor of the Australian Spectator thinks the autobiography has “tarnished” Howard’s “legacy”, whilst in the same journal Peter Coleman deems Howard’s assessment of Peter Costello “unworthy”. Such reviews reveal more, it seems, about the reviewers than they do about the book. Indeed to concentrate unduly, as a captious commentariat does, on Howard’s view of the Iraq War (Chapter 34), the Tampa crisis (Chapter 32), or the relationship with Costello (Chapter 44) misreads the authorial purpose. Howard dedicated himself to this vocation after completing a Sydney University law degree. He was not involved in the hyperventilated campus politics that has launched so many contemporary political careers. Instead it was whilst practising as a Pitt Street solicitor, and through involvement in the state Liberal Party machine, that he came to see “politics as an arena in which ideas and values could be debated, contested and adopted”. This understanding constituted the foundation of his “lifelong view that politics is, more than anything else, a battle of ideas”. His Liberal Party mentor John Carrick, to whom the book is in part dedicated, similarly viewed politics as “a philosophical contest—not merely a public relations competition”. At the same time, professional experience in this arena also taught him that reform had to recognise the limitations imposed by necessity and circumstance. Commenting upon the coup that removed him from the Liberal Party leadership in 1989, he contends that “politics is always about today’s reality, not the great realm of what might have been”. Good leadership, he argues, in the chapter that begins the inception of the Howard era, “interprets and applies the received values of a nation”. The political activity, then, that the autobiography explores is an art that requires mastery through experience. Ultimately it is the art of the possible. It was this art, learnt in “the despairing years” of opposition, that Howard skilfully applied to reforming Australia between 1996 and 2007 and which, as he rightly contends, left Australia in a much better socio-economic and psychological place than the state he and his party inherited from the Labor government of Paul Keating. The book therefore thoughtfully and sometimes provocatively explores the context that formed the philosophy and offers a case study of the trials and tribulations of a conservative political thinker in action. As Howard observes in his reflective conclusion, he “brought a philosophical road map to government … in its broadest iteration that road map was one of economic liberalism and social conservatism”. This political philosophy, moreover, not only responded to Howard’s political experience and his reflection upon it, which he traces in impressive, if occasionally pedantic, detail, but also his personal life and the education and social milieu that shaped his worldview. The ultimate source of these values is his tightly knit lower-middle-class family and their stoic struggle as members of Menzies’s forgotten people during the 1940s and 1950s. The child was father of the man and the opening chapters explore with affection and sensitivity the small business, battler, inner-west Sydney background. His father Lyall owned a garage in Dulwich Hill on the corner of Ewart Street and Wardell Road. It is still there, although Lyall had to remove the original petrol bowsers when Marrickville Council issued an “arbitrary edict” to install traffic lights. This entrepreneurial, socially conservative upbringing formed the young Howard, the youngest of four siblings. Howard confesses a predisposition to “siding with the small operator, even if some violation of free market principle might be involved”. The low-church Christian values inculcated by his mother, Mona, were particularly enduring. Her “tenacity and single minded fidelity to things in which she believed … left its mark on me”, Howard reflects. She took a quiet pride in his political success, “but with the typical caution of a person of her generation, who felt that success for themselves or their family was always somewhat unexpected”. His mother took him to the Methodist church in Earlwood, which he attended well into his twenties and where he learnt both his cricket and the importance of numbers in any democratic process when his elder brother, Wal, failed to win the ballot for the captaincy of the church team. However, “doing homework, or studying for university exams took precedence over everything else”. This puritan ethic secured the young Howard a place at Canterbury Boys High School and the University of Sydney. Both Howard’s father and grandfather had served in the Great War. They enlisted separately, Lyall at seventeen and the grandfather at forty-four years of age. Serendipitously, they met at the village of Clery on the Western Front on the eve of the battle of Mont St Quentin in August 1918. In 2000, Howard visited Clery and as a journalist observed at the time, experienced “a coming home of the heart”. Somewhat presciently, Howard was christened John Winston in July 1939. He subsequently seems to have imbibed a Churchillian antipathy to appeasement and a realist view of foreign policy with his mother’s milk. This characteristic became particularly evident in his commitment to George W. Bush’s response to Islamist terror and the transformed international landscape after 9/11. These formative influences built the character to deal with the vagaries of political life that Howard embarked upon after 1973. Its tribulations and triumphs are captured in the second and third parts of the book. However, what appears, at first glance, as a chronological record of initial political success during Malcolm Fraser’s prime ministership, through the frustration of defeat and failure in opposition described in Part Two, and the eventual triumph described in Part Three, may also be read as a series of discrete essays on the practice of politics and policy-making. These essays deal, inter alia, with the pretensions of the Whitlam era, the dismissal and its consequences, and the frustrations of reforming a stalling Australian economy as Treasurer and Malcolm Fraser’s deputy. In Part Two, he meditates on the failings of the Liberal Party in opposition, as well as on the effectiveness of Hawke as Labor leader and the meretricious and symbolically vacuous posturing of the Keating era. The observations on effective policy-making are often penetrating, and the assessments of political character and conduct, including his own, are highly perceptive. It is easy to forget how long, arduous and difficult the task was of removing the corporatist tariff-ridden straitjacket the Australian economy wore in the 1970s. As Howard observes, he contemplated tax and industrial relations reform and commissioned the Campbell inquiry into deregulating the financial system as early as 1979. It took, however, almost two decades and considerable political brinkmanship to arrive at a goods-and-services tax and lower levels of personal taxation. As Treasurer in the Fraser government, he “underestimated the enormity of the challenge”. Financial deregulation came earlier, largely because the Liberal Party afforded the Hawke government bipartisan support over the dollar float and the removal of exchange controls in 1983. Yet despite the pressing need for further and broad-based reforms to the labour market, taxation, industry protection and the financial system, that bipartisanship was not reciprocated after 1996. Howard vividly captures the convoluted process and political drama involved in altering what he terms rather endearingly the “centralised wage fixation system”. He also warns that the debate that began in a bipartisan manner with the float, but was only carried to a more systematic and economically productive conclusion by the Howard government, remains unresolved. The project of deregulation, Howard maintains, “remains intensely relevant to Australia’s future”. This is especially the case, “since Julia Gillard’s changes have taken us back to the rigidities of the 1980s”. The reform process, with its setbacks and compromises, leads Howard to some interesting judgments on personality, image maintenance and political practice. He observes that Hawke “demonstrated a connection with the Australian electorate stronger than any leader before or since”. By contrast Whitlam, despite his sharp wit, failed to acknowledge the new economic realities of the 1970s. Instead, he “appeared hurt by them, as if such diversions had no right to interfere with his grand plan for Australia”. A similar hubris later affected Keating. His “economic scorecard was dismal”, whilst his “preoccupation with converting Australia into a republic, his version of reconciliation … and his total preoccupation with Asia were discordant priorities” removed from the needs of ordinary Australians. His assessment of Liberal politicians in power and opposition is equally bracing. Fraser would not chance his arm on big reforms, Peacock had no deeply held views on economic issues, whilst loyal and collegial Downer mishandled the launch of his political manifesto and never recovered authority as leader. Meanwhile, John Hewson, whose self-presentation revelled in a virtuous unfamiliarity with the darker political arts, lost credibility with the electorate in 1993, when he tempered his rhetoric to win votes and looked like just another politician. Howard is equally conscious of his own limitations. On his rivalry with Andrew Peacock after 1983, he recognises that he “never fully understood the extent to which my continuing ambition to be leader of the Liberal Party was so apparent to my colleagues”. He also recognises a personal “lack of charisma” and the fact that his critical statements on the pace of Asian immigration in 1988 were an error that subsequently haunted him. It is perhaps in this context of character analysis that his somewhat captious assessment of Peter Costello’s political skill is best read. From political behaviour and the response to it, Howard further distils a series of astute lessons about the nature of Australian representative democracy and the political conduct necessary to secure meaningful reform. Thus, of Australians he notes that they are “pragmatic worldly people who respond well to governments which ask them difficult things, provided they are taken into the confidence of the government and the nature of the national interest is laid out”. Howard respects the “independently minded” Australian character that exhibits “a pragmatism verging on cynicism”. Significantly, the people’s egalitarian instincts rejected instruction by the media and academe on how to vote on issues like the republic. More particularly, the Australian electorate is innately conservative and possesses “a highly commendable instinct to resist change unless a convincing case had been made”. Moreover, when the people change government, they cut the new leader “a lot of slack … As a consequence, the public will accept a change in the direction of a fresh government early in the new term, provided a proper explanation is given.” Howard, then, is a democrat who understands and respects the popular will. At the same time, he sees politics as an adventure in shaping that will. Here parties are important. Howard argues that “all modern political parties are, in one form or another, coalitions. The challenge is to keep the different elements of the coalition together.” The Liberal Party he dominated after 1995 had to be a “broad church”. Nevertheless the “key to his success” was the recognition that the National Party could “win acceptance of their point of view on matters especially important to their followers”. Opposition had taught him that “a party needs more votes than its base can deliver so as to win an election, but unless its base is energised … it has no hope of victory”. These lessons endure. Long experience also taught Howard that it is “an iron law of politics in Australia … that each election is quite different. The issues that defined and shaped an earlier campaign were almost entirely irrelevant to a later one.” It was an iron law that the Labor Party consistently forgot between 1996 and 2007. 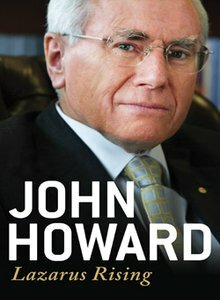 Exploiting this in government, Howard brought his prudential conservatism to the challenges of energising the economy, challenging the media and academic assault on Australia’s Western democratic values, and developing a robust and realist foreign policy calibrated to the demands of the durable international disorder that emerged contingently in the wake of the 9/11 assault on the United States. In the process, he sought to “rebalance the narrative about Australia’s past”. In this ideological context, he maintained, “Australia occupied a unique intersection of history and geography. We were a nation of Western European origin with strong links with North America and forever living cheek by jowl with the nations of Asia.” Maintaining liberal democratic values whilst achieving both stability and judicious reform required a blend of expediency and conviction. As he observes, “compromise is a necessary political tool, but conviction is the mother of success in politics”. He addresses his government thematically, again offering the reader discrete essays on the complex mixture of compromise, skill and political arithmetic necessary to secure change in industrial relations and Aboriginal policy, as well as comprehensive tax and health care reform. Conviction and compromise particularly shaped the economic reform agenda traced in chapters devoted to “On the Waterfront” and the pursuit of “The Holy Grail of Tax Reform”. Crucially, the foundation budget of Peter Costello in 1996 set the tone for reform and ensured that the Australian economy would not be engulfed by the Asian financial crisis two years later. 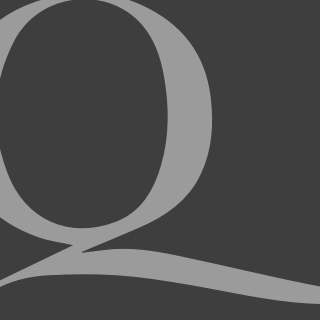 Other essays explore further the role of contingency, or what Machiavelli would deem fortuna, and its impact on policy and political perception. The Port Arthur massacre enabled Howard to introduce gun control, whilst the rise of One Nation almost dashed his electoral hopes for a second term in 1998. Analogously, the impact of 9/11 enabled Howard to recast Australian foreign policy and reassert the centrality of the national interest and the US alliance against the multilateral vacuity and monolithic pursuit of Asian engagement that defined the Keating–Evans era. Significantly, seven of the twenty-four chapters that explore the Howard government deal with foreign policy. Here again a number of key themes emerge that demonstrate Howard’s pragmatism and political realism. In Washington at the time of the September attacks, Howard quickly committed Australia “to assisting the United States in her retaliation against those responsible for the outrage”. He also predicted accurately, “that the fight against terrorism would be with us for years … and that no nation, including Australia, was immune from a terrorist attack”. Appeasement, moreover, was never an option, as “no amount of metaphorical averting of our eyes would shake” the jihadist “resolve to injure us and punish our way of life”. Like George W. Bush, Howard considers the world order determined by nation-states. He endorsed Bush’s faith in co-operative effort by like-minded nations rather than “the processes of multilateral movements or organisations”. When it “comes to the crunch”, Howard avers, “multilateralism always falls short”. This understanding affected his view of Asian regionalism. Asia first but not Asia only, shaped Howard’s regional approach. Australia, he asserted, did not have to choose between its geography and its history. He describes the relationship with Asia, moreover, in determinedly bilateral terms. In particular, he learnt the importance, much valued by Asian leaders, of cultivating good interpersonal relations. Howard recognised that this, rather than the multilateralism of ASEAN and its East Asian summitry, represented the real Asian way. Whilst former Labor foreign ministers and their academic acolytes condemned Howard for his indifference to regional architecture in general and ASEAN’s academically fashionable non-Western norms of non-interference and non-binding consensus in particular, Howard considered rightly that regional multilateralism delivered process rather than any notable progress on trade or border disputes. Foreign policy, he contends, should possess substance, “rather than the preoccupation with process and form that characterizes the practice of most multilateral fora”. From this realist perspective, central to Australian stability and growth therefore were the key bilateral relations with Japan, China and Indonesia, which grew stronger during his prime ministership. After the difficulties with Indonesia over East Timorese independence in 1999, “one of the more noble” achievements of the Howard government, and the Bali bombings of 2002, Howard forged an increasingly close relationship with the democratically elected Susilo Bambang Yudhyono after 2004. By 2006, the relationship, although always complex, had become “stronger than at any time in recent memory”. A similar attentiveness to the relationship with China’s leaders produced even more impressive results. As Howard points out, good relations with the USA had no zero-sum implications for the relationship with China. In fact, the good relationship with the USA “made it much easier” to build “a friendly pragmatic association with the Chinese”, a fact consistently misunderstood by his critics. After a rocky start he established a particularly good relationship with Chinese President Jiang Zemin. Howard rated his meeting with Jiang in Manila in 1996 as one of the most important he held during his tenure. Howard made it clear that he wanted “to focus on commonsense practical aspects of the relationship”. As Jiang commented in English, “face to face is better”. The good relationship established with Jiang and Zhu Rongji proved crucial in securing the North-West Shelf Consortium’s $25 billion contract to sell liquefied natural gas to the Chinese province of Guangdong. Between 1996 and 2006 Australian trade with China grew by a staggering 626 per cent. Despite the importance of the Chinese trade relationship, Howard also recognised, at the same time, the need to hedge pragmatically against China’s rise. To this end, he saw the wisdom in developing a trilateral security dialogue among Australia, Japan and the USA and in forging a closer relationship with India. Ironically, the Rudd Labor government, which prided itself on its Asian understanding, managed within three years to undermine the impressive network of bilateral and trilateral relations that Howard had sedulously cultivated. Apart from the policy successes, the third part of the work also contains further shrewd observations on the political conduct of the statesmen he encountered. The “astute and fascinating” Jiang Zemin had a passionate interest in Shakespeare and 1950s Hollywood movies. Howard, of course, developed a close relationship with Bush, but found the contrast between the President’s well-informed and persuasive private demeanour and his stilted “presentation style in public” perplexing. Howard is keenly aware that presentational skill is central to effective democratic policy-making, as “modern politics is bound up in the quality of electronic media presentation”. He thus found that Bush’s “communication deficit” deleteriously affected his Presidency. Unlike Bush, Howard had honed his rhetorical skill in the adversarial Westminster system and attributes his own style of talking without notes to his active involvement in high school debates. Unlike Bush or Gordon Brown, he never used a teleprompter or autocue. Indeed he holds such devices “in contempt as rhetorical crutches”. Difficulties in presenting an effective political narrative, he also contends, undermined Labor’s leaders in opposition. Analysing Kim Beazley’s incoherent response to the government’s handling of the Tampa crisis in 2001, Howard avers that Beazley “endeavoured to walk both sides of the street on issues when the Australian people clearly demanded direct, unconditional behaviour from their government”. Similarly, Mark Latham’s seemingly expedient cultivation of the green vote backfired and undermined his core blue-collar support in 2004. As Howard observes tellingly, it “proved harder to wear a green sleeve with a blue collar than Mark Latham ever imagined”. The Gillard government, it seems, has failed to absorb this lesson. Ultimately, the Howard government left Australia both economically and internationally in a good place. The broadly based prosperity and sound fiscal position were “no accident”, but the result “of a policy deliberately and effectively applied”. Three years on, the Howard era already resembles a golden age of Australian achievement, especially when viewed against the policy settings devised by an increasingly incoherent Labor government. Post-Howard, politicians and their media minders seem to consider conviction something that you do time for rather than a political stance central for effective governance. Throughout this autobiography, Howard paints himself as a Burkean conservative, and this is evinced in his political observation and his political conduct. Like Burke, Howard’s reflections on government demonstrate that “a disposition to preserve and an ability to improve” represent the real “standard of the statesman. Everything else is vulgar in the conception and perilous in the execution”. From this deeply held conviction much else follows. Howard says he had “a project for government, but I was not so arrogant that I should inflict upon the people a new vision of the nation”. “Burkean conservatism” drove Howard’s opposition to the republic. Nevertheless, experience taught him that the Liberal Party was a broad church, “the party of both Mill and Burke”. From this political perspective, therefore, the empty symbolism of the Labor Party that played cavalierly with issues of identity and forced multicultural absurdities upon an unsuspecting public was vulgar in the extreme and its consequences needlessly divisive. Similarly, the ideological pursuit of Aboriginal separatism, apologetics and climate warmism demonstrated the fraught ideological perils in their execution. By contrast, effective policy-making accepted prudentially the need both to free the economy without hurting either small business or the most vulnerable in the workforce, whilst at the same time winding back the arbitrary power of the trade unions. Howard imbibed, as we have seen, a lot of homespun wisdom from his mother and her sister. Phrases like “life is not a bed of roses” and “it’s a long road that has no ending”, echoed through his childhood. But one saw his mother might have uttered and he might have considered is “the proof of the pudding is in the eating”. Here the Howardian political recipe cannot be seriously questioned and its presentation in this book will be of enduring relevance to scholars of the Australian achievement. David Martin Jones is Associate Professor in the School of Political Science and International Studies at the University of Queensland. He is co-editor of The Howard Era (Quadrant Books, 2009).